Finished in Ardent red that give a very Ferrari esque look. Fully loaded with all three available packs: Tech, Sports and Premium plus further optional extras: reverse camera and power folding mirrors. 5 owners from new – current owner 4 years. V5, original owners folder, warranty and service booklets. Full service history with stamps in the book and invoices. 2010 1,106 miles – Murray Motor Company Lotus – After sales service. 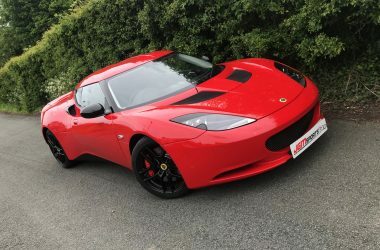 2011 3,888 miles – Murray Motor Company Lotus – Regular service + brake fluid. 2012 4,313 miles – Murray Motor Company Lotus – Regular service + brake fluid + pollen filter. 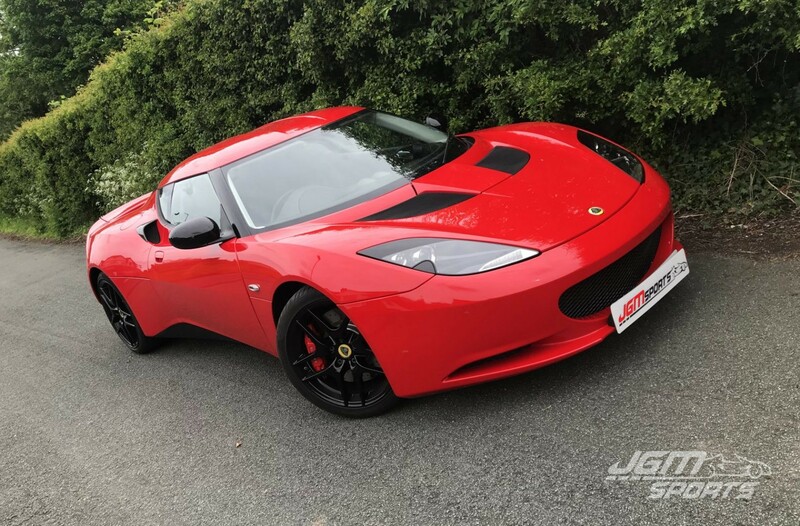 2013 7,000 miles – Murray Motor Company Lotus – Regular service + brake fluid. 2013 7,004 miles – MOT. 2013 11,947 miles – MOT. 2014 12,452 miles – Williams Lotus – Regular service + pollen filter. 2015 15,719 miles – MOT. 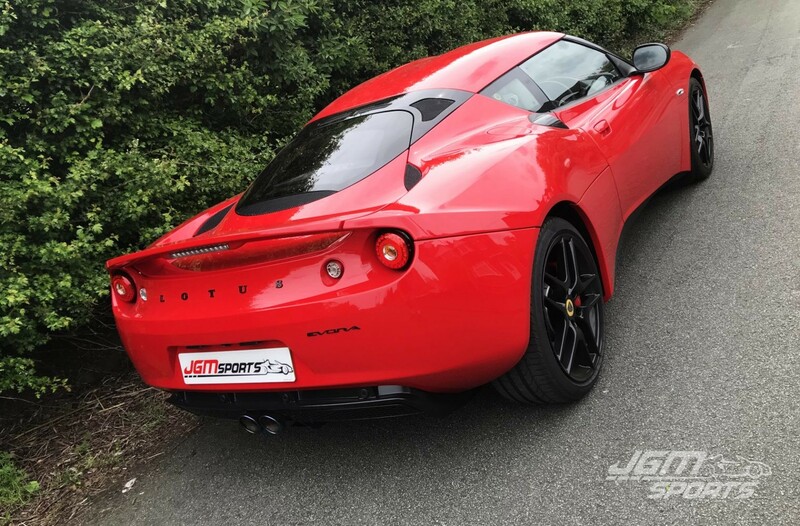 2015 16,090 miles – Oakmere Lotus – Regular service + brake fluid + gearbox oil. 2016 17,775 miles – MOT. 2017 19,221 miles – MOT. 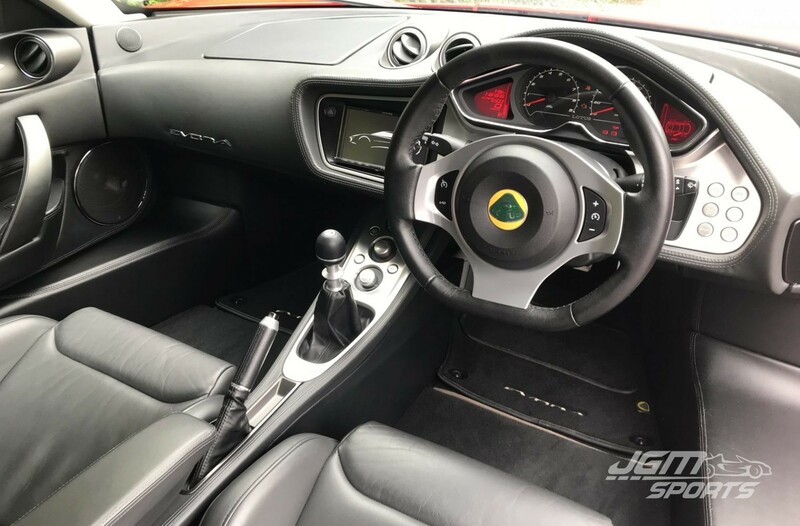 2017 19,343 miles – Oakmere Lotus – Regular service + anti freeze. Four new tyres within the last 2,000 miles. 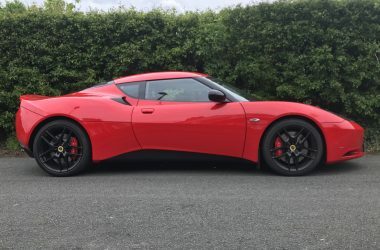 Usual Evora standard features such as Recaro bucket seats, air conditioning, remote central locking, 18/19inch wheels etc. As already mentioned has all three packs, please search the internet for “Evora 2010 packs” for a full break down. 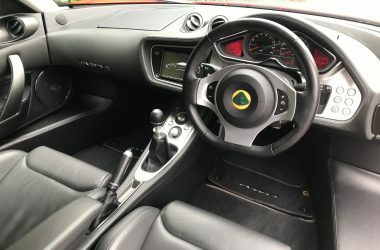 To list a few of the features: Lotus sports exhaust with titanium tips, cross drilled brake discs, sports button, full black leather interior with leather centre arm rest, Alpine 6.1 inch screen with the further optional reversing camera, satellite navigation, homelink parking sensors, cruise control with steering wheel controls etc etc. The gearbox is the optional close ratio version where 3rd gear really comes into its own, 1st and 2nd are standard. Standard car apart from stick on carbon side scoops and black rear badging done by Lotus dealer. 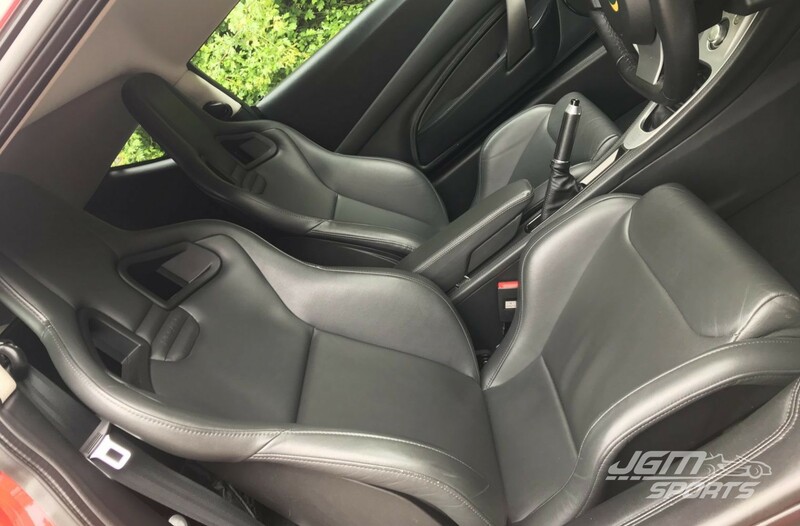 In outstanding condition inside and out as to be expected with such low mileage.